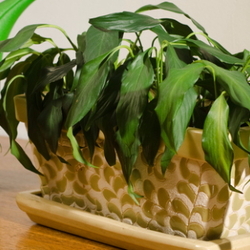 Do you know the best times for transitioning potted plants indoors? Well, here are the worst. You probably already know that you can extend the life of some of your outdoor plants by bringing them indoors for the winter. However, it is not as simple as picking up your patio pots and setting them down in your living room. In fact, if you do not follow some simple steps, you could not only end up with dead plants, but your home could be filled with unwanted insects and other garden pests. Here is a list of when NOT to bring your plants indoors this season. Plan ahead as to which plants you will bring inside, taking their overall health into consideration. 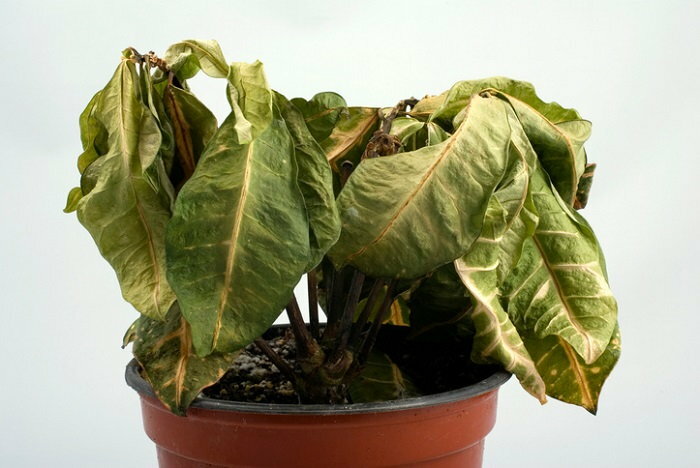 If a plant is struggling outdoors, it is unlikely it will survive moving to an indoor environment. Choose healthy, thriving plants to ensure they survive the cold season. You may be headed for trouble if you take a plant off a sunny front porch and set it in a dark indoor location. It is important that you make sure you have an indoor location that matches well with your plant's outdoor home. Place plants that need full sun near windows with southern exposure and plants that need partial sun near an east- or west-facing window. Using indoor grow lights is another possibility for getting the environment you need. If your plants are having problems inside, you should check to make sure your windows are clean and that dirt and grime are not blocking out the light of the sun. Potted plants will not dry out as quickly indoors as they did in the summer sun, but they still need moisture to survive. 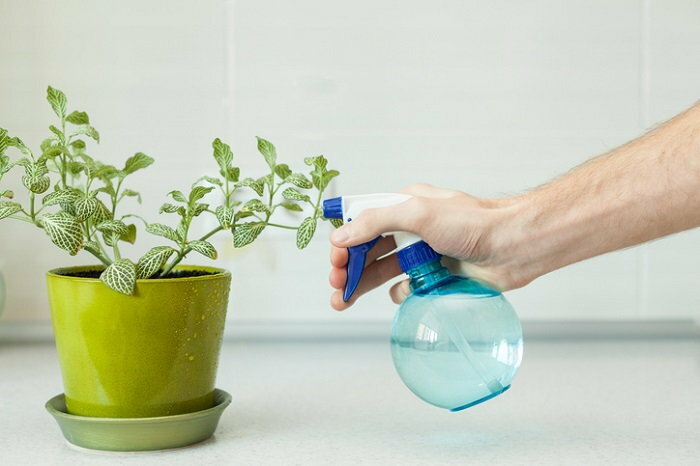 Use a spritzer bottle of water to keep plants from drying out, but add a tray under the pot to prevent the extra water from staining your floor or carpeting. Keep in mind that succulents will need less water than foliage plants. Avoid placing your plants in areas exposed to heating vents or in areas that might get wintertime drafts from opening and closing doors. The constant air flow is not helpful for keeping your plants and their soil moist. After a summer of sitting outside, your planters may be filled with pests. 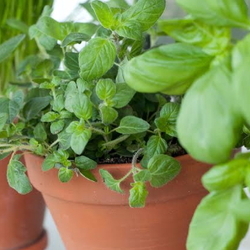 Therefore, bringing a pot inside can expose your home—and your other healthy plants—to unwanted visitors. To prevent this problem, thoroughly inspect the pot, including its exterior, any visible interior spots, and the potting medium. Look for any signs of hitchhikers like aphids, mealybugs, mites, snails, ants, or moss and mold on the plant itself or in the soil. If any soil-dwelling bugs are present, or if you suspect they are and can't see them, try soaking the pot in a tub of lukewarm water for about 15 minutes. Pests will come to the surface in search of air and be easier to get rid of. A good way to guard against pests is to place your outdoor plants in a "quarantine” setting before your bring them into your living space. Placing them in a closed, separate indoor area will allow you to spot signs of bugs you might have missed in your inspection before they spread anywhere else in your home. Depending on how many insects you have discovered, you may want to repot the plant in a new container. Choose one that is at least two inches larger than the current one; then, repurpose the infested pot later by scrubbing its interior with a 90-10 solution of water and household bleach. Rinse well with water when you finish. Several days before you plant or bring the plant inside, examine it for dirt and any dead or yellowing leaves and blooms. 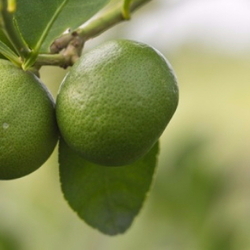 Prune or shape the plant as needed, and then wash the foliage with water and pat dry gently. 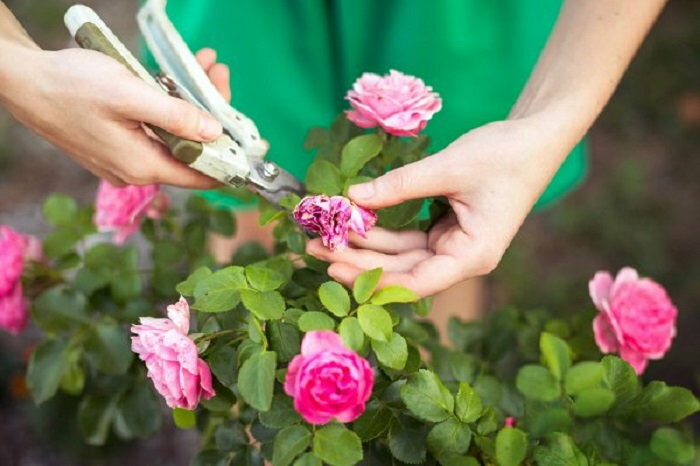 Do not prune back more than one-third of the plant. Even if you are as careful as possible, many plants will suffer some trauma when you move them indoors. The lower light levels and drier conditions may take their toll. Common signs of stress are yellowing and dropping leaves, but the good news is that as your plants adapt to their new surroundings, they usually will replace these leaves with new ones. Depending on the type of plants you have and the type of soil you are using, your transplanted plants may benefit from an application of fertilizer after being moved. Now that you know what NOT to do in terms of transitioning your outdoor plants indoors, you can plan and take the proper steps to enjoy their beauty throughout the winter from the comfort of your own home.